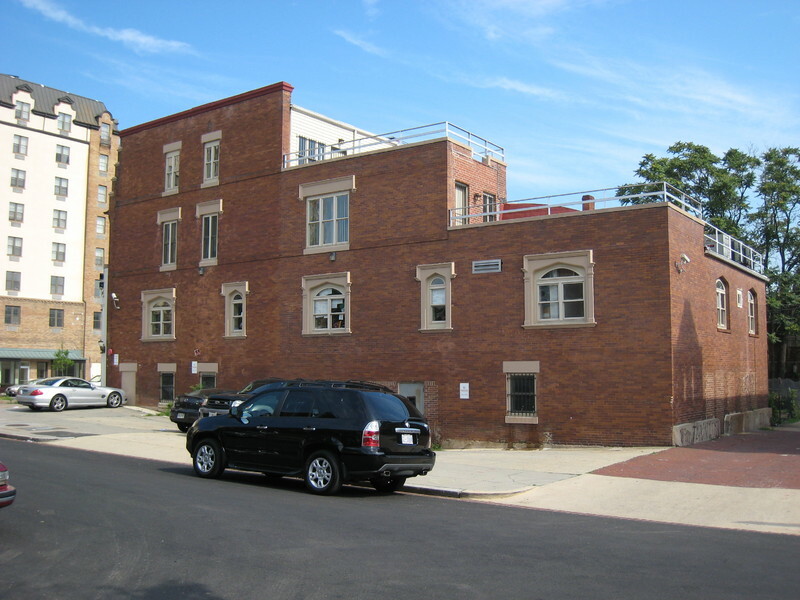 Bernard Danzansky, a former tailor and ice cream and stationery seller, established the first Jewish funeral parlor in the District of Columbia in 1912, meeting the needs of a growing population of Jewish residents of the city. 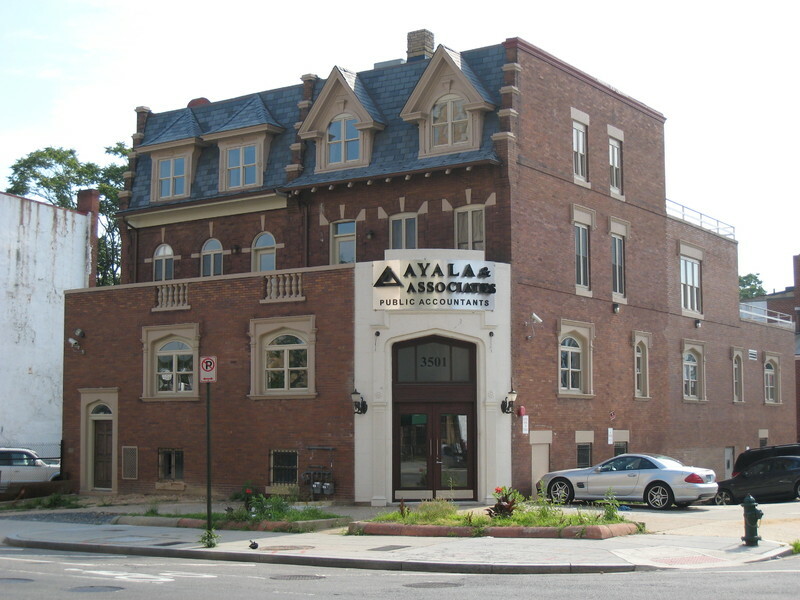 In 1923, Danzansky moved the business to this location, following the migration of Jewish residents to the area. 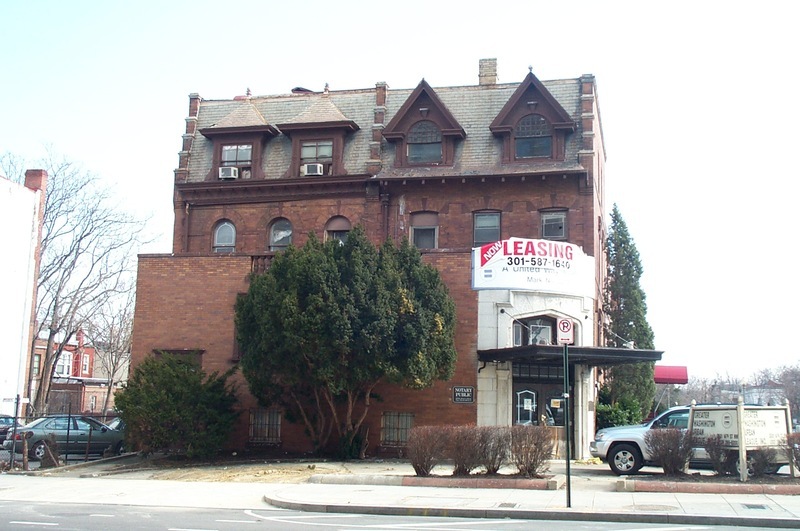 The Danzansky Funeral Home operated on 14th Street for more than fifty years, as Danzansky became a central figure in Washington’s Jewish community. 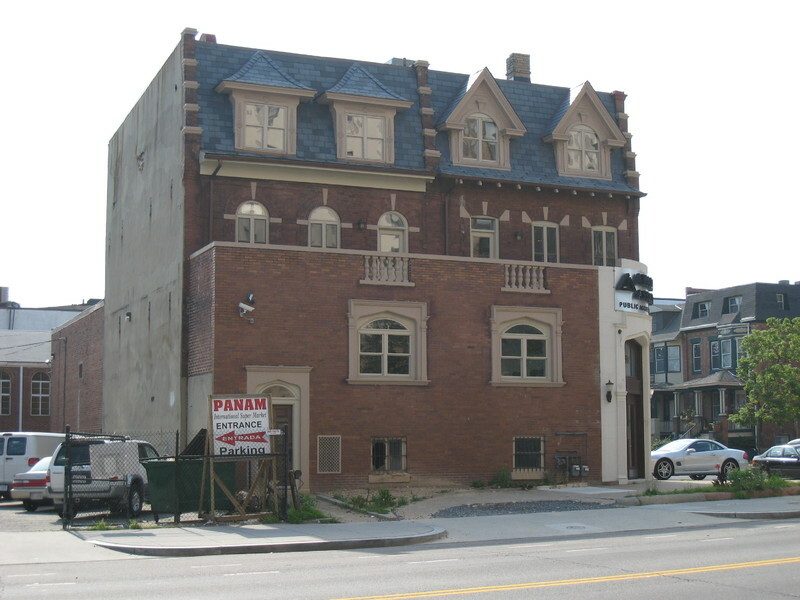 The establishment occupied a four-story corner rowhouse and its neighbor, which are part of trio of brick rowhouses built in 1910 by prominent developer Harry Wardman following designs by architect Albert Beers. In 1938, Danzansky customized his buildings by replacing the front porches with a Tudor Revival addition that expressed the business use and introduced a large corner entrance. 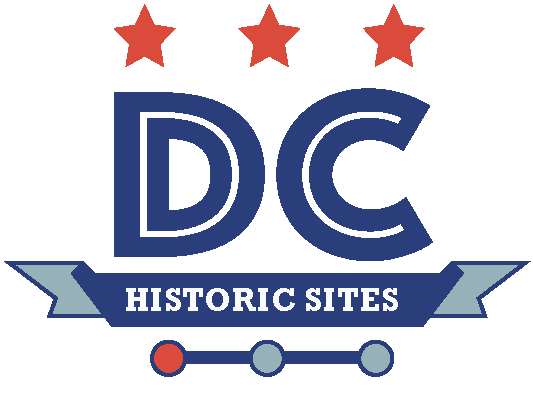 “Danzansky Funeral Home,” DC Historic Sites, accessed April 24, 2019, https://historicsites.dcpreservation.org/items/show/140.